A greeting card featuring characters from Irvin Kershner's sci-fi sequel Star Wars - Ep V - The Empire Strikes Back. 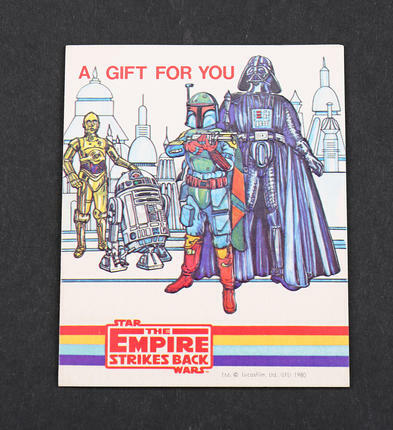 The front of the card features Darth Vader, Boba Fett, R2-D2 and C-3PO. 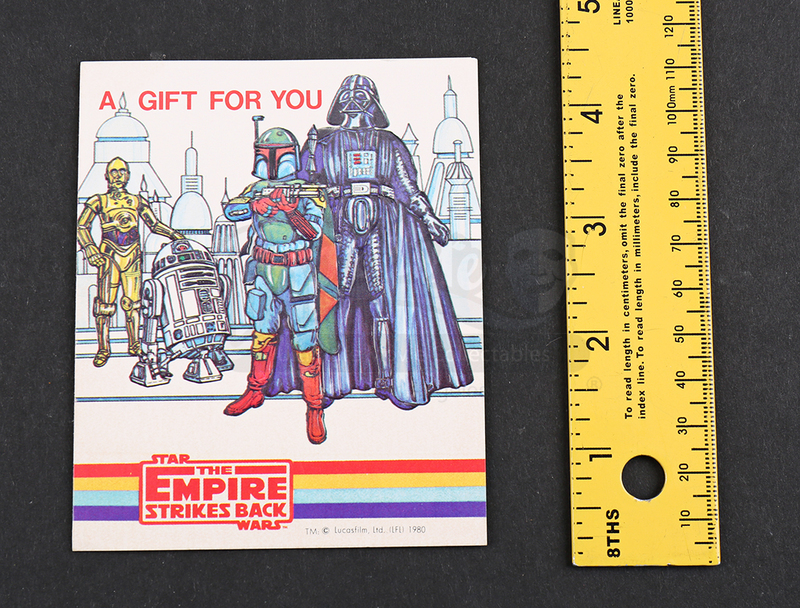 The front of the card also features the film's title as well as the words "A Gift For You." The interior of the card is blank and it remains in excellent overall condition.